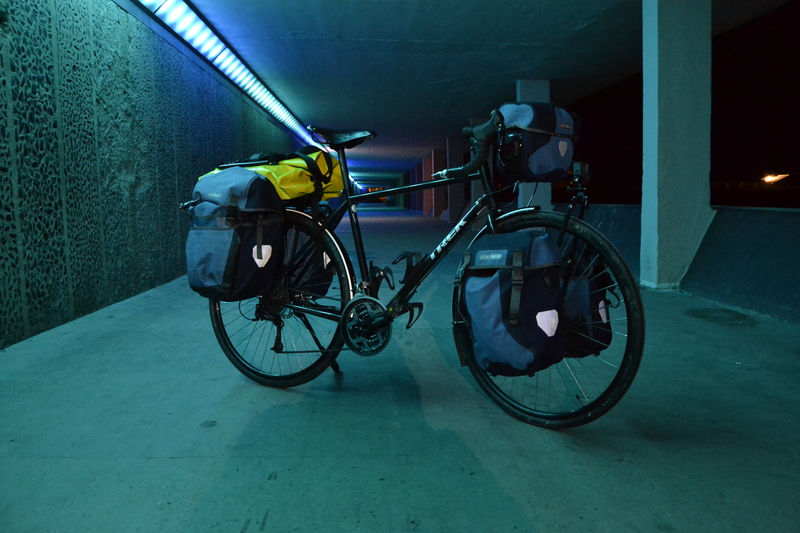 I purchased most of the equipment with weight in mind, hoping I could chip away at the overall haulage - saying that all my kit not including the bike weighs 30kg. Have I taken too much? Yes probably, but if I find I’m rarely using an item Ill send it home to save on carrying dead weight. The kit comes down to 4 groups camping, clothes, bike maintenance, and tech. My home for the best part of a year is a tent made by a Swedish company called Hilleberg. I don’t know much about tents but I did some research and these guys came on top for the best all round 4-season tent. AlpKit seemed like a good brand choice for eating and cooking equipment; I read their reviews and was intrigued by their lightweight ranges, so I trusted them with this area. Crucially I purchased a Platypus Gravity Works 2L water purifier and a LifeStraw bottle for those countries where clean water is hard to come by. I’ve had to pack for all weather conditions, as I will be facing an Eastern European and Turkish summer and a Central Asian winter. I’ve cycled in 40-degree heat before and unsurprisingly the key is to drink as much water as possible. 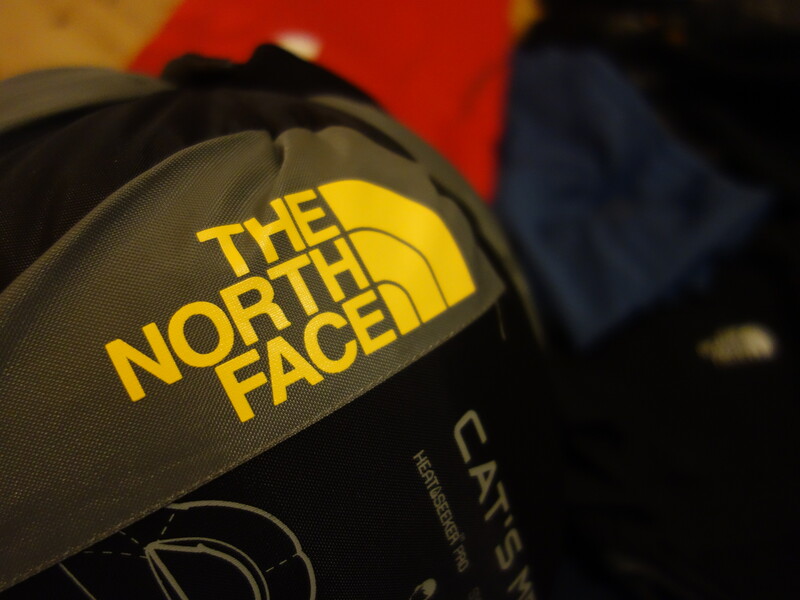 Going a tad mad with the North Face I purchased with both weight and durability in mind. 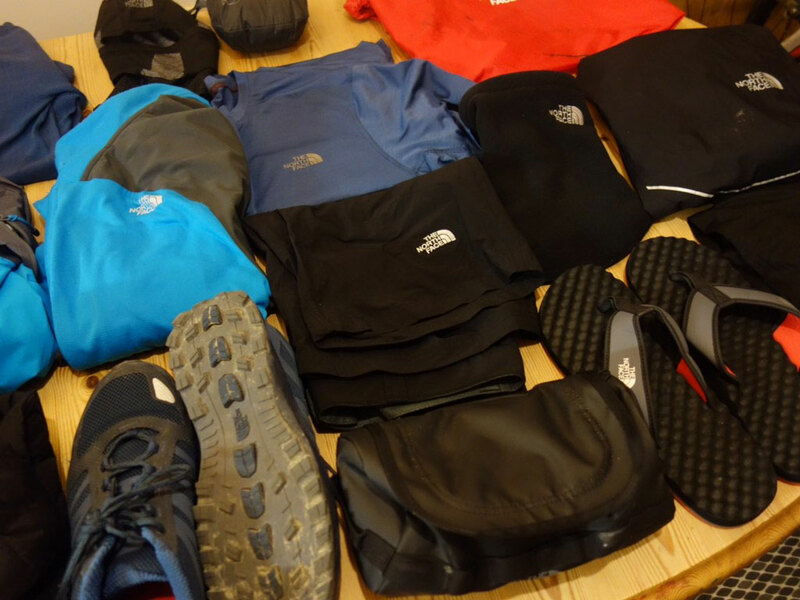 North Face isn’t a cycling orientated company but I love their kit and I know it works, that’s why I’ve trusted them with almost all my clothing. 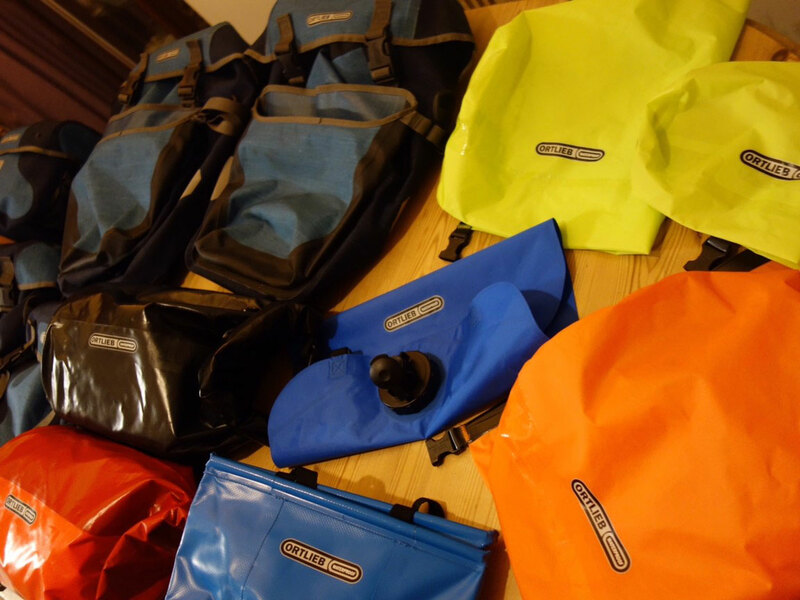 Ortlieb seemed to be the go to brand when it came to panniers and cargo hauling equipment they’re a German brand known for durability and practicality, if you can call living off a bike practical. I’ve got spare inner tubes, a spare tire, lubricant for the chain, and a multi tool to fix most problems on the bike, lets hope I have the skills to do so. I’m planning on filming and editing the ride as I go; I’m a beginner at both so the result should be interesting. The result of wanting to capture moments on the journey is that I’m carrying a large amount of tech; this comes in the form of two cameras plus accessories, a laptop and a solar panel. I’m taking a Sony RX100 and a GoPro Hero 5 as their simple, which will help a 100% novice ‘filmmaker’ like me. I’ve got a Joby tripod to help capture the lonely cyclist shots, and a bigger tripod to get shots from a different perspective when there’s no trees/posts around. I’m taking a laptop so I can edit and share my videos as I make my way across Eurasia. I love following fellow cycle tourists such as Ed Pratt, 260litros Darren Alf through watching their videos, as I feel I’m kind of coming along with them, if I can recreate just a tiny bit of their genius video making skills I’D be happy. To power these devices I’m taking a Voltaic 20 watt solar charger plus extra battery - in countries with loads of sun this should be enough to charge all my devices, when the sun rarely shows it’s face ill rely on charging my tech at food stops and sleeping accommodations. I choose the Trek 520 as I thought it was the best option within my price range, I didn’t want to spend over a £1000. The problem with spending £1000-£3000 on a touring bike is that it will be hard to repair while out of Europe, as poorer countries wont have the know-how or parts to repair your specialized bike. I thought to go for a touring bike with easily replaceable parts would be a smart choice. Trek makes great bikes and this one is no exception. It’s similar to a road bike design, but I’ve taken it across many varied terrains and it’s held up magnificently on and off-road. The generous amount of gears the bike has helps me up most steep inclines, even if I am dragging up 45kg behind me. On it’s own the bike weighs 15kg. I’ve added a Tobus Tara low-rider front rack, a Brooks Saddle, mudguards, and Shimano clips pedals.